Iran has proposed a peaceful solution to the crisis in Yemen, calling for a ceasefire on the ground and the end of airstrikes by Saudi-led coalition against the Houthi rebels – Tehran’s allies. The plan is expected to be submitted to the UN on Wednesday. “This issue should be resolved by the Yemenis. Iran and Saudi Arabia need to talk but we cannot talk to determine the future of Yemen,” Zarif said at a news conference in Madrid on Tuesday. The foreign minister stressed that “all operations should end on land and from the air,” Reuters reported. Iran is not seeking dominance in Yemen, while Saudi-led air strikes “are simply not the answer” as they are exacerbating the problem, Zarif added. “Everyone in Yemen carries two weapons. Whoever has the aspiration of controlling this country doesn’t know Yemen,” Zarif said, reported the Wall Street Journal. According to the foreign minister, the US and its allies in Europe should not insist on preconditions before diplomatic talks take place in Yemen if they do not want to deepen the crisis. “This is a trap: The trap that Europe got itself into in Syria, it should not get into in Yemen,” he said. Meanwhile on Tuesday, the UN Security Council imposed an arms embargo against the Houthi rebels and the allied forces loyal to former President Ali Abdullah Saleh. 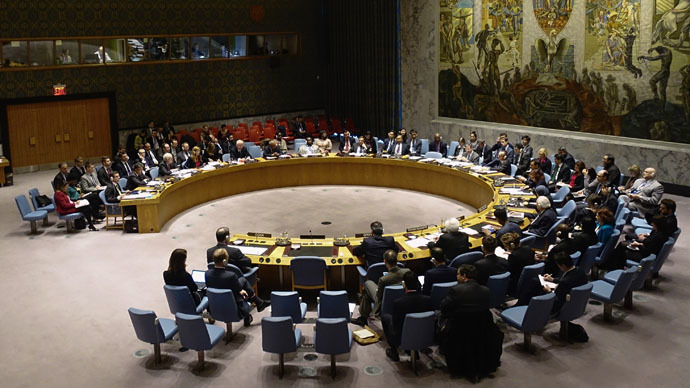 Fourteen members of the Security Council voted in favor of the resolution, Russia being the only abstention as the final text of the resolution did not include Russia’s proposals for a “humanitarian pause” in the Saudi-led airstrikes and a comprehensive arms embargo. Iran’s state television channel, Press TV reported later that a four-point peace plan, which was being discussed by Zarif, will be submitted to the United Nations on Wednesday. Saudi Arabia has not yet commented on Iran’s proposal. However, previous peace initiatives coming from Tehran were met with skepticism in Riyadh, which said that Iran “is not in charge of Yemen" and therefore has no right to demand an end to fighting. 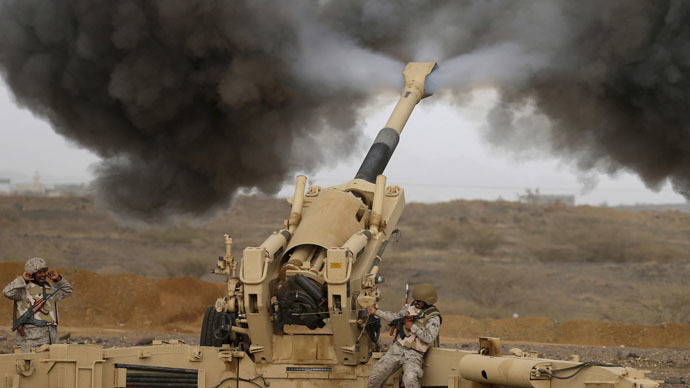 Saudi Arabia and its Sunni Arab allied have been bombing the Houthi rebels since March 25, with over 1,000 civilians having been killed since the start of the airstrikes, according to UN estimations. The Shia Houthi rebels took control of Yemen’s capital, Sanaa, in September 2014, forcing President Abd-Rabbu Mansour Hadi to flee to Saudi Arabia and are now fighting for the strategic port city of Aden. The Saudis accuse its main geopolitical rival, the Shia powerhouse Iran, of arming the Houthis, but the claims have been vigorously denied by Tehran. The Iranian peace proposal comes amid reports of a military setback by the rebels in the battle for Aden. The fighters loyal to embattled President Hadi told Reuters that they managed to dislodge the Houthis from the city’s Khor Maksar district, which host the international airport, foreign missions are a bridge connected to downtown. Last week, Moscow also called for a peaceful solution to the crisis in Yemen as Russian Deputy Foreign Minister, Mikhail Bogdanov, met Yemeni temporary charge d'affaires to the county, Hassan Mohamed Al Rai. “The Russian side reaffirmed its position in favor of an urgent end to all hostilities and the widespread inter-Yemeni dialogue to generate consensus decisions on all issues on the national agenda," Russia’s Foreign Ministry said in a statement.